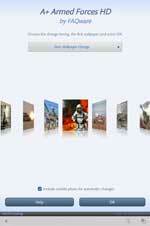 Military combat training photos with our Wallpaper app in the Nook Marketplace! Real military action on Sea, Air & Land wallpapers. See soldiers in amphibious assaults, survival training, machine gun practice, fire fighting, boat raids, parachute training, air drops, and more. 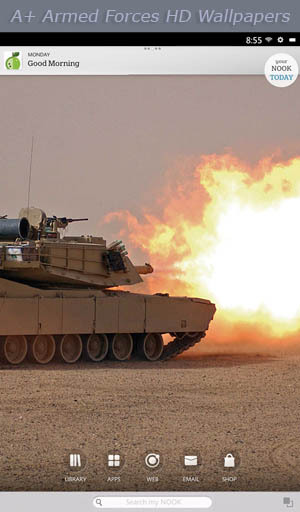 Military equipment in use includes tanks, Humvees, artillery, helicopters and a wide range of guns. Experience the life of a soldier! 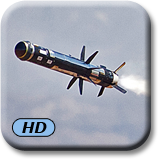 Choose your favorite wallpaper from over 40 military photos, all selected and optimized specifically for your device Color/HD/HD+ Tablet. Our A+ Wallpapers consistently receive top ratings. Photos change automatically each week, day, hour, or stay on a single photo. Change photos any time with a swipe up or down! Have fun personalizing your device home and lock screens. Also check out our Air Power wallpapers for exclusive military aircraft photos. Now tap the A+ Armed Forces... choice.